Every Bodies Race Company event 5K, 10K, and even our Half Marathons can be done “virtually.” Even if you can’t join us on race day you can still receive the same gear as race-day runners by challenging yourself to complete a same-distance course from home. 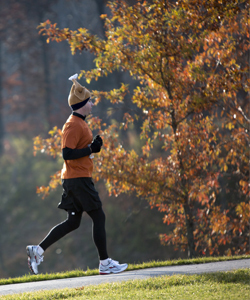 It’s a great way to stay in shape and run all of the Bodies Events – no matter where you are! If you can not make packet pickup and you want your packet mailed to you simply sign up for the race online and choose the ‘VIRTUAL RUN’ option. All virtual packets will be mailed the week after race day. To be a virtual runner and have your packet mailed you must register as virtual. If you can attend packet pickup then you can just let the staff know so we can collect your race chip and give you the finisher medal. This is a great option if you were planning on attending the race and now cannot but can still attend packet pickup. You can also send a friend to pick up your packet. *We will not hold shirts, medals, packet after the event if you haven’t already switched to virtual. We have a no refund policy. 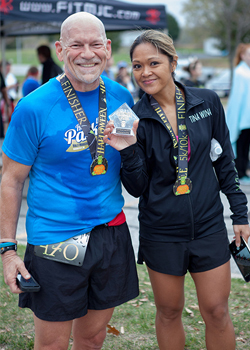 If you are unable to participate in the event, or the event is cancelled, you can still receive your packet, shirt, and medal and you simply run the race on your own time on your own course. If you can’t make the event you are responsible for picking up your packet (shirt and medal) at packet pick up. We will not cancel for cold, rain, or snow. The only cause for cancellation would be hazardous road/weather conditions (ice, severe winds, lightning, etc). If cancellation is necessary, we will do our best to inform you with email, announcements and posts on our Facebook page. If you feel that road/weather conditions are unsafe for you to travel, or would be hazardous to your health please consider our virtual race option. To participate virtually, simply run the race on your own time, on your own course. Any shirts that have not been picked up at packet pick-up or race day packet pick-up are open for late registrations. If you want to guarantee that your shirt will be available, you need to pick up your packet at packet pick-up or on race day. Of course you can always contact us if you have any questions.